younger? Do you just like nature? Are you a fan of St. Patrick's Day? Thank this is the charm for you! Be sure to check out our other charms that coordinate with the four leaf clover such as the Irish Hat and Claddagh Ring! They say it is good luck to stumble across a ladybug. Back in the day, the biggest reason ladybugs were considered good luck is because they helped keep crops safe from other bugs that devoured and killed plants. If you or someone you know is a gardener, this would be the good luck charm for you! The horseshoe has been a long-standing symbol of luck. Good luck charms and horseshoes seem to go hand in hand. Just make sure your horseshoe is facing up! And don't forget to add the horseshoe droplet to your chain! The elephant is a great sign of good luck. Elephants are associated with Feng Shui and the concept of keeping your life full of positivity and good energy. An elephant would be a great addition to give some peace and balance to your locket. This wishbone won't come a part, but it is still considered a good luck charm! Add this to your Foodie locket, Good Luck Charm locket, or even pair it with a wine glass and Autumn colored charms to celebrate Thanksgiving! These would look great separately or all together. Do you like to play cards? Head to the casino? Have family game night? 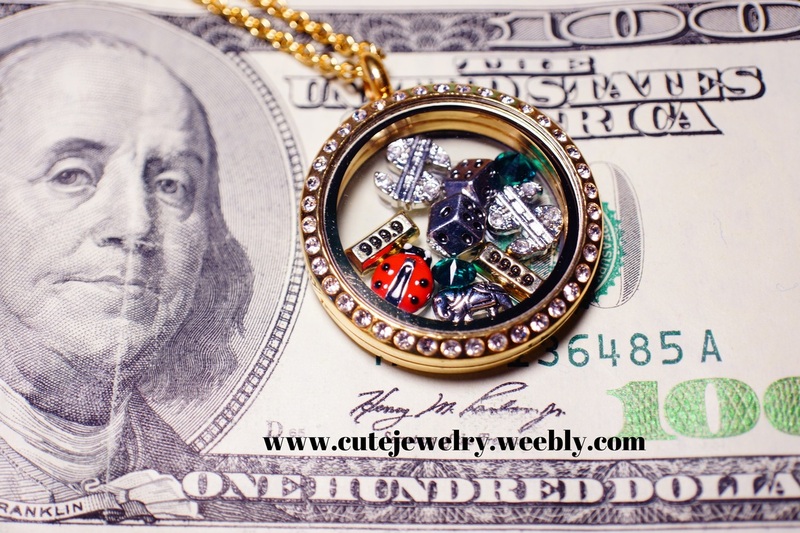 Don't forget to grab the double dice good luck charm and put it in your locket. Who knows what kind of luck it will bring you!